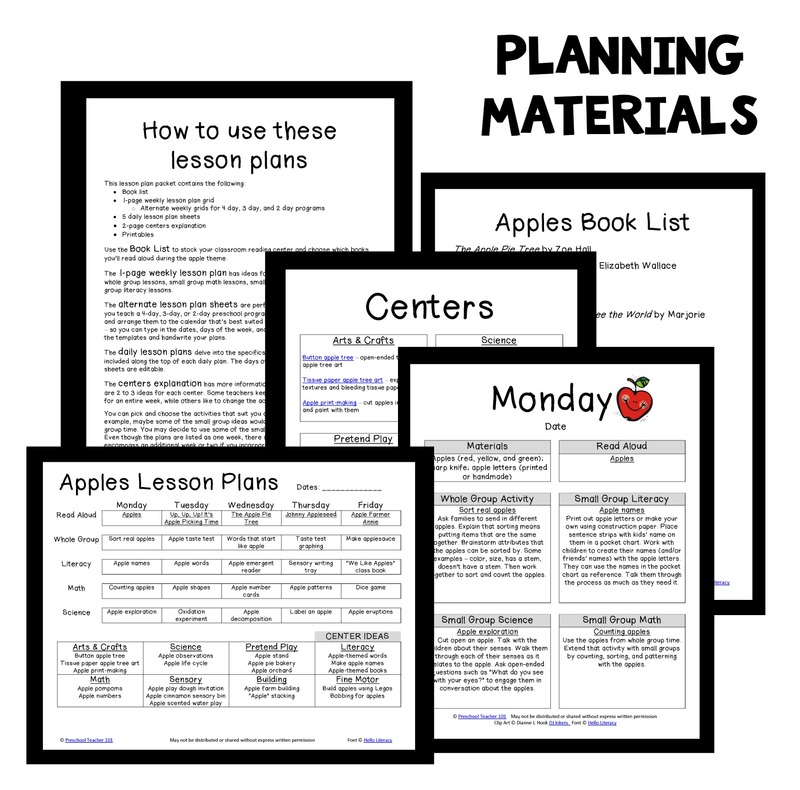 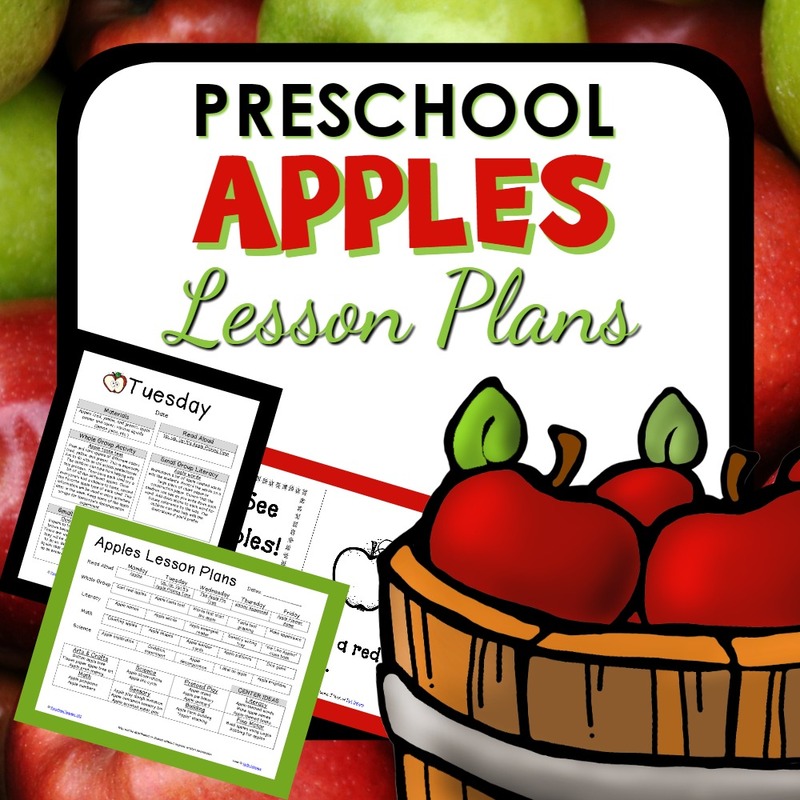 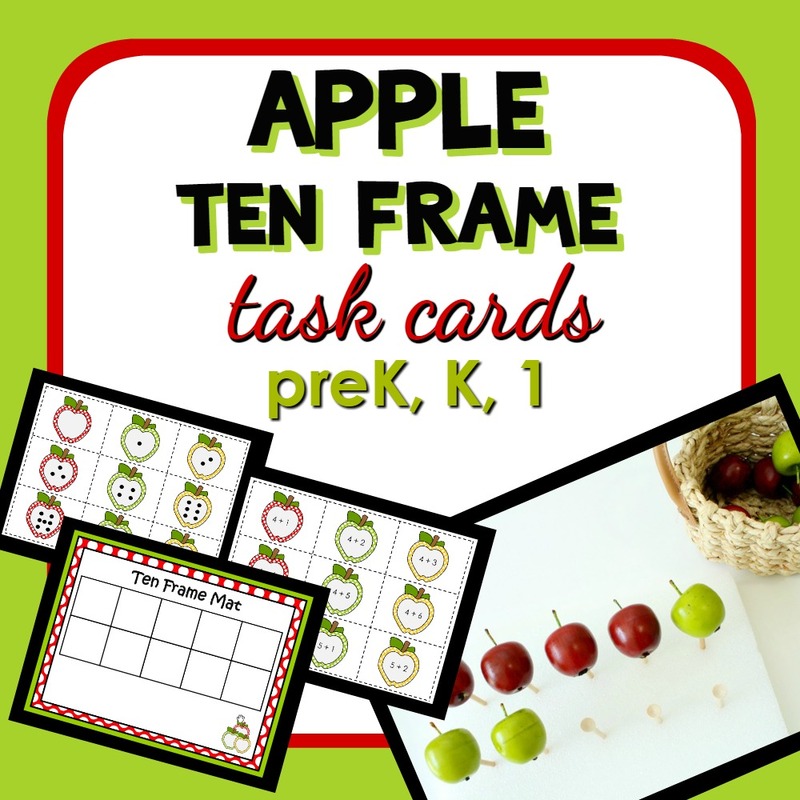 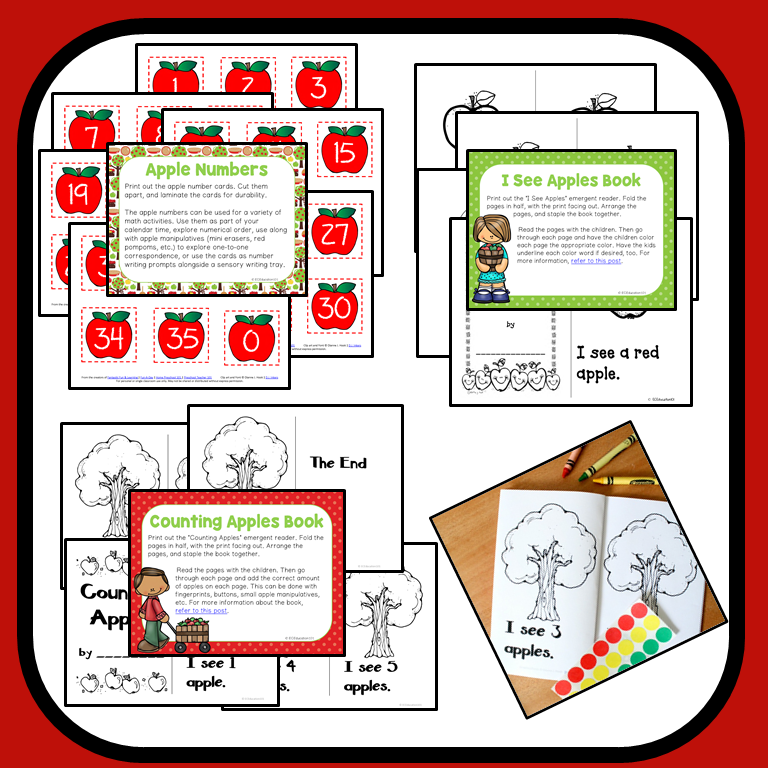 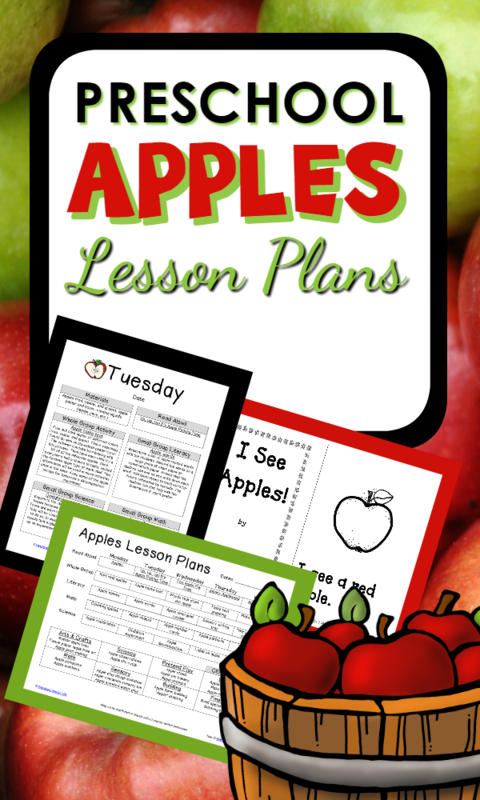 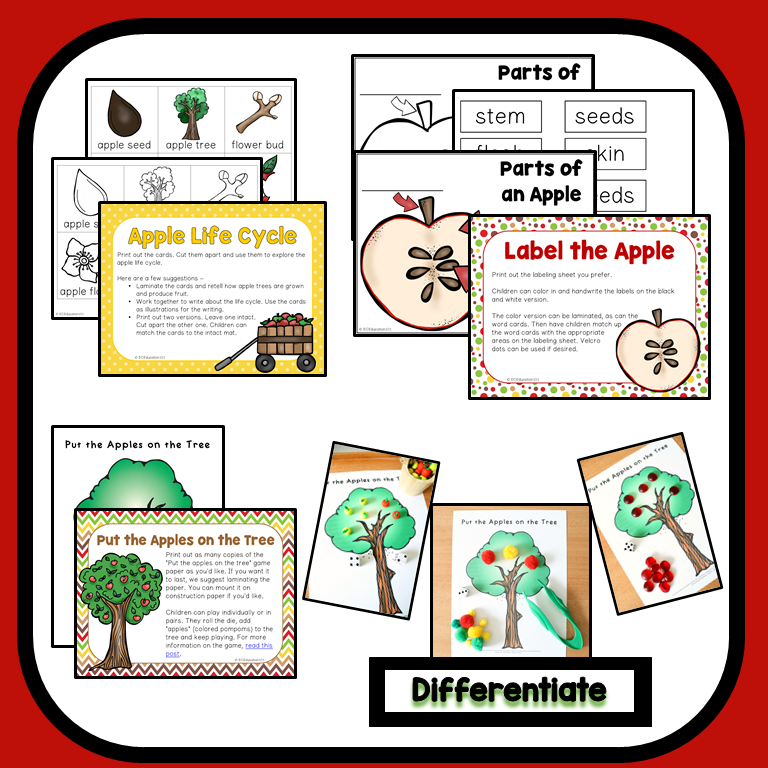 Explore real apples and incorporate reading, math, science and more with this 70-page preschool apples lesson plan set. 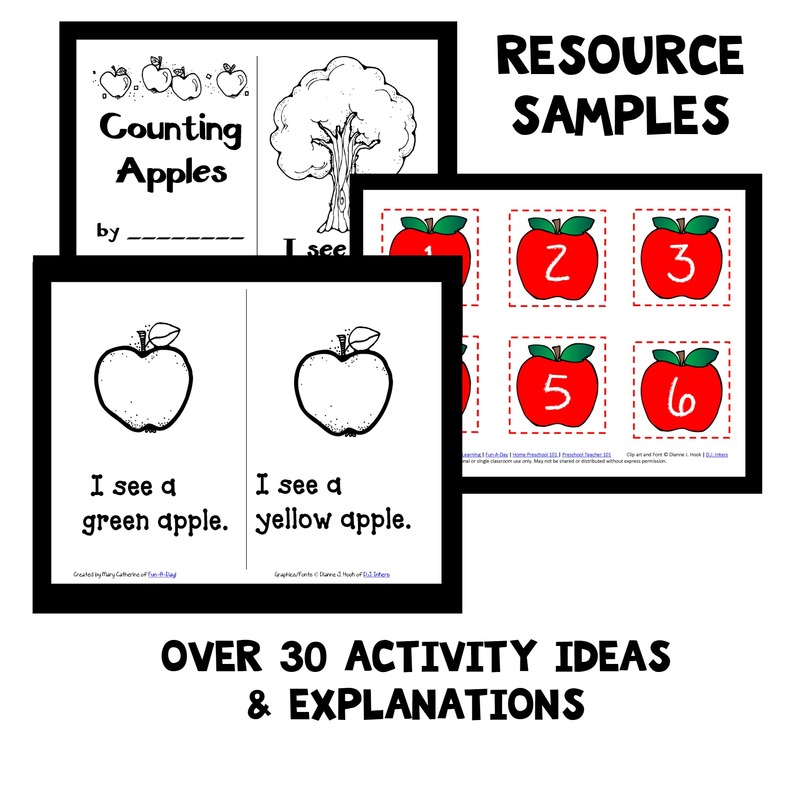 Help children learn more about apples. 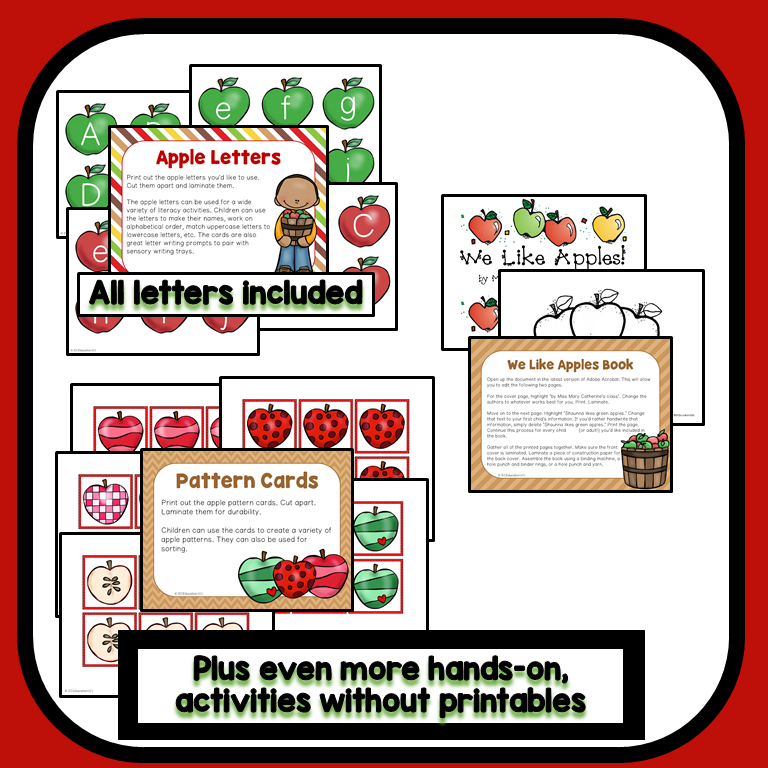 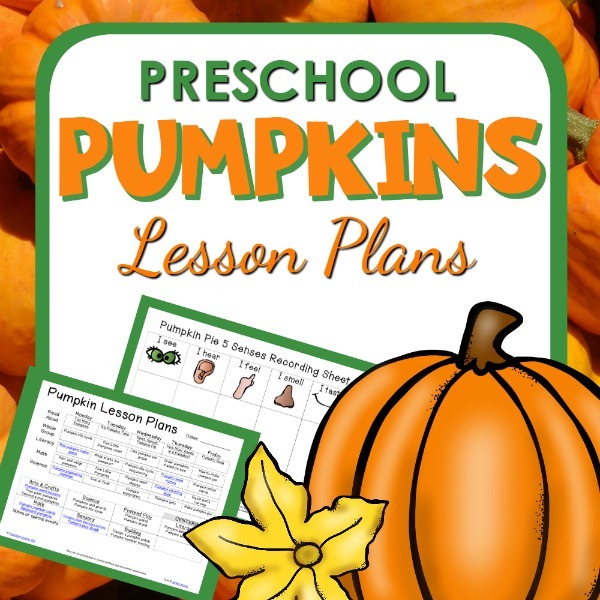 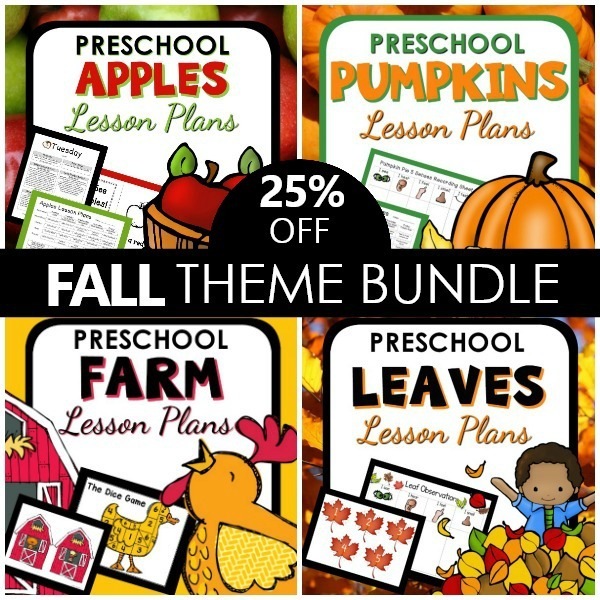 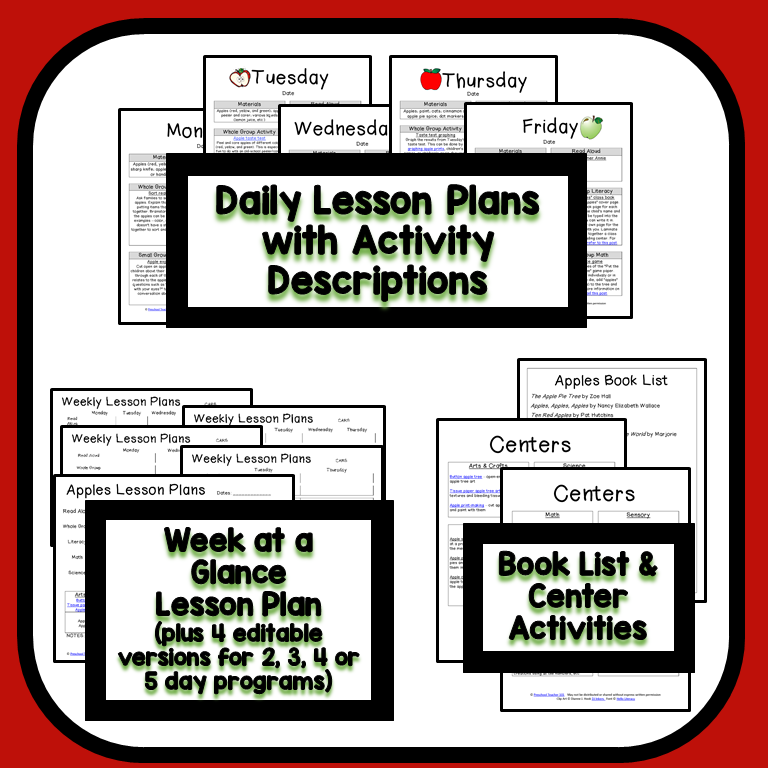 This preschool lesson plan pack can be used during the fall, back-to-school time, in conjunction with a fruit theme, aligned with exploring the letter A, etc.